Designed in 1929 by architect Leland A. Bryant, the Sunset Tower (as it was originally called) was a trendsetter from the moment it opened. 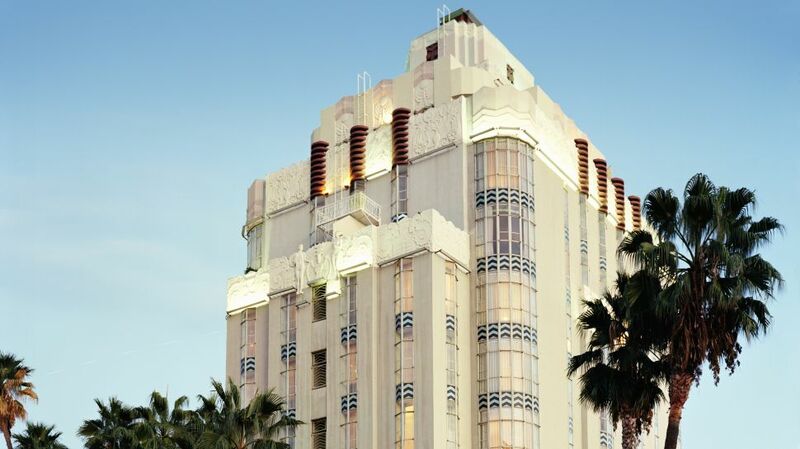 Its dramatic setting on the Sunset Strip and elegant Art Deco styling, together with its proximity to famous restaurants and nightclubs of the 1930s & ’40s, contributed to its landmark status. West Hollywood has always catered to celebrities wishing to draw attention to their star power. The Sunset Tower embodied these aspirations, counting among its former residents Howard Hughes, John Wayne, Billie Burke, Marilyn Monroe, Errol Flynn, Elizabeth Taylor, Frank Sinatra, Paulette Goddard, Zasu Pitts, and even gangster Bugsy Siegel.